Each apartment consists of one bedroom, a living room with a kitchen and a private bathroom with shower. 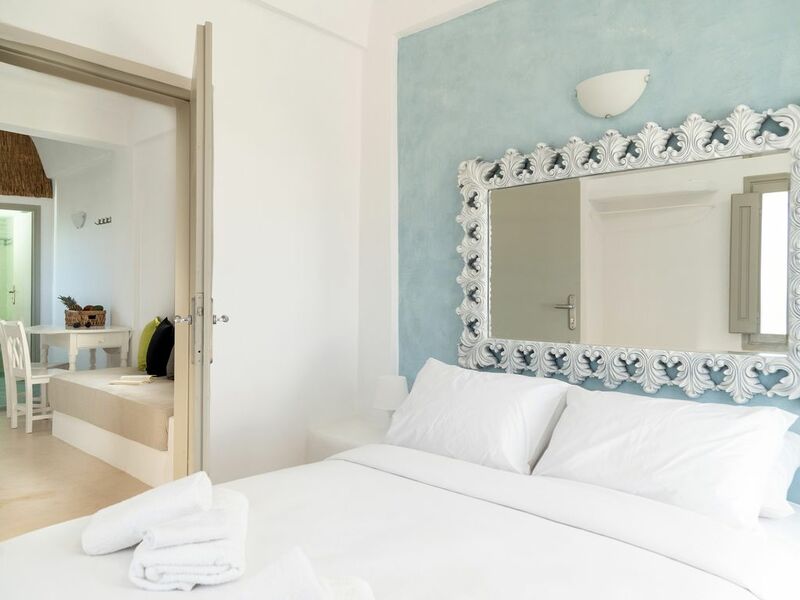 The apartments are fully air conditioned and equipped with TV, free wi-fi and other home appliances to reassure you will feel completely independent during your stay. There is an outdoor swimming pool with amazing ocean view that promises both body and soul relaxation. The property is located near the city centre, easily approachable and only a few minutes away from beautiful Caldera.